If you feel called to go on this mission trip please let us know ASAP! Call the church or contact Harold Brown at (505) 463-5563 if you are interested or have questions. 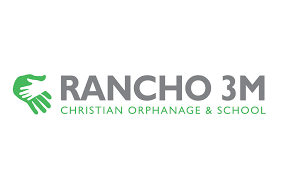 Rancho 3M’s mission is about “rescuing, caring for, and training at-risk and orphaned children for the glory of God.” The children are cared for by a loving staff, given nutritious meals, and their own beds. The children receive a Christian education from kindergarten through 9th grade and some of them go on to college. They are taught agricultural skills such as raising farm animals and growing crops, which can help them provide for their families in the future. Overall, the main goal of Rancho 3M is to provide these children with a clean, safe place to live and learn, and show them the love and hope of Jesus Christ.